Flower size: 21mm (approx. 13/16"). Weight: approx. 6 grams. Stone: clear Cubic Zirconia (CZ). Stamp: 925. Sizes 4 - 12. 1/2 sizes available. Please email us your ring size. Band width: 6mm. Thickness: 2.15mm. Weight: approx. 3.5 grams. Design: hand engraved Hawaiian Plumeria scroll. Stamp: Titanium. Sizes 3 - 14. 1/2 sizes available. Please email us your ring size. Band width: 6mm. Thickness:2.15mm. Weight: approx. 3.5 grams. Design: hand engraved Hawaiian Plumeria scroll with smooth edge. Stamp: Titanium. Sizes 3 - 14. 1/2 sizes available. Please email us your ring size. Brand new yellow gold plated on solid 925 sterling silver Hawaiian spinning ring. Width: 8mm. Design: Hawaiian plumeria scrolling. Weight: approx. 6.9 grams. Size: 4 to 12 are available. 925 stamped inside ring for authenticity. Please email us your ring size. Brand new heavy solid sterling silver (not plated, not bonded) Hawaiian 8mm with raised 6mm pink/rose gold plated Plumeria scrolling design ring. Width: 6mm/8mm. Design: Hawaiian plumeria scrolling. Weight: approx. 9.5 grams. Size: 5 to 12 are available. 925 stamped inside ring for authenticity. Please email us your ring size. Brand new heavy solid sterling silver (not plated, not bonded) Hawaiian 8mm with raised 6mm Plumeria scrolling design ring. Width: 6mm/8mm. Design: Hawaiian plumeria scrolling. Weight: approx. 9.5 grams. Size: 4 to 12 are available. 1/2 sizes available. Please email us your ring size. Width: 4mm (approx. 3/16") each. Design: Silver Plumeria flower all around. Design: Yellow gold plated maile leaves. Design: Rose gold plated Plumeria scolling. Weight: approx. 7.5 grams. 925 stamped inside each ring for authenticity. Please email the ring size you need. Design: Silver Plumeria flower all around. Design: Yellow gold plated maile leaves. Design: Rose gold plated Plumeria scolling. Weight: approx. 7.5 grams. 925 stamped inside each ring for authenticity. Please email us the ring size you need. Brand new solid 925 sterling silver 3 in 1 hand engraved Hawaiian ring. Width: 4mm (approx. 1/4") each. Design: Plumeria flower all around, maile leaves and Plumeria scolling. Weight: approx. 7.5 grams. 925 stamped inside each ring for authenticity. Please email us the ring size you need. rand new solid 925 sterling silver 3 in 1 hand engraved Hawaiian ring. Width: 4mm (approx. 1/4") each. Design: Plumeria flower all around, maile leaves and Plumeria scolling. Weight: approx. 7.5 grams. 925 stamped inside each ring for authenticity. Please email us the ring size you need. If you have any questions, suggestions or concerns please email us at theturtlefactory1@yahoo.com or call us at 910-327-3244. 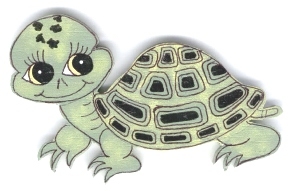 If you wish to purchase more than one of an item please email us at theturtlefactory1@yahoo.com or call our store at 910-327-3244 to find out how many we have in stock. You can also call us Monday-Saturday 10:00 - 5:00 if you wish to place an order using a credit card. If you have any questions, please email or call us, we will be happy to help you.